The Romans win an easy victory over the Illyrians during the First Illyrian War (229-228 BCE). The Illyrians were a loose coalition of tribes, who usually fought each other, but they seem to have been more or less united under a certain King Agron. Agron had equipped a large fleet of fast ships called lemboi, which were used for raiding. After his death, his wife Queen Teuta acted as a regent for her infant son. She gave the Illyrian pirates free rein and orchestrated attacks on Elis and Messenia in the Peloponnesos. The Illyrians also raided Epirus, where – through the treachery of a band of Celtic mercenaries – they managed to capture the important city of Phoinike. The Romans had plenty of reasons to be wary of Illyrian activities. For years, Roman and Italian merchant vessels sailing in the Adriatic Sea had been attacked and captured by Illyrian pirates. This could not be tolerated any longer. A Roman intervention was imminent. In 230 BCE, the Roman Senate sent representatives to the court of Queen Teuta. The party was led by Gaius and Lucius Coruncanius. If we trust Appianus’ account, the Roman envoys were accompanied by ambassadors from the island of Issa (present-day Vis, which is part of Croatia), which was besieged by the Illyrians. According to Polybius, the Roman envoys were not treated with respect. Teuta listened to their complaints with disdain and argued that since the acts of piracy had been committed by private individuals, she as queen was not allowed to intervene. Polybius adds that the youngest of the Coruncanii gave the queen a bold reply. Feeling offended, Teuta sent some men after the envoys when they were on their way back to Rome. The younger Coruncanius was killed and so was Kleemporos, the envoy from Issa. The Romans saw the murder of Coruncanius as a pretext for war. Although historians have doubted whether this murder really took place, it seems fair to assume that the Roman motives for war against the Illyrians were a combination of indignation over the pirate attacks on their ships and the wish to extend Roman influence further east, to the other side of the Adriatic. It is also clear that the Roman diplomatic mission to the Illyrians did not have any effect. On the contrary, Queen Teuta only seems to have doubled her raids on the Greek coastal areas. 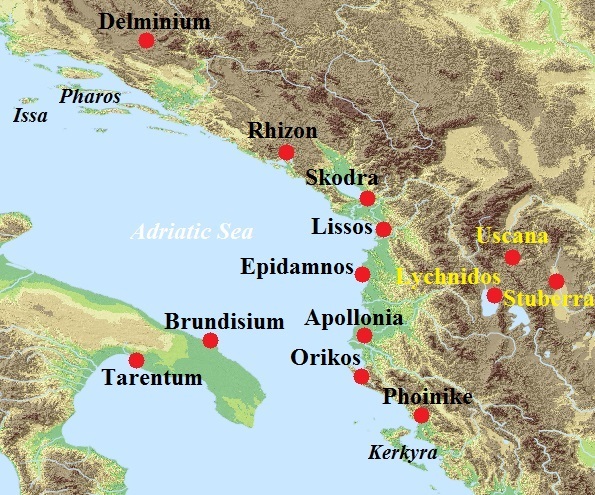 The city of Epidamnos (present-day Durrës in Albania) was attacked and Illyrian forces also landed on Kerkyra, present-day Corfu. Ships from the Achaean and Aetolian Leagues tried to intervene, but they were soundly defeated in a naval battle near the Paxos Islands, south of Corfu. The Kerkyrans were now forced to sign an agreement with the Illyrians and accept a garrison on the island. It was commanded by one Demetrios of Faros. Now the Roman intervention began in earnest. By 229 BCE, they had equipped a strong fleet of some 200 warships. It was commanded by one of the year’s consuls, Gnaeus Fulvius Centumalus. His colleague Lucius Postumius Albinus was in charge of the land army, a consular force of some 20.000 infantry and 2.000 cavalry. Centumalus first set sail for Kerkyra and easily captured the island. The population was happy to see him coming and Demetrios betrayed his queen by defecting to the Romans. Kerkyra put itself under Roman protection and signed a treaty of friendship. Using the defector Demetrios as a guide, Centumalus then sailed to Apollonia, where he was joined by Albinus, who had crossed the Adriatic from Brundisium with his army. The First Illyrian War proved to be an easy victory for Rome. The Illyrians were no match for the Roman army and fleet. Apollonia and Epidamnos also put themselves under Roman protection and the Roman fleet managed to raise the siege of Issa as well. In combined operations of the army and fleet, the Romans now began attacking the coastal cities of Illyria. There were no large cities here, just fortified towns. The Romans scored several easy victories, although in one confrontation a quaestor and several officers were killed. Queen Teuta withdrew to Rhizon, which according to Polybius was very well fortified and quite far from the sea (it was actually in the Bay of Kotor in present-day Montenegro). At the end of the campaigning season, the Romans set up Demetrios as a client ruler over the cities and territories they had conquered. It was a decision they were to regret later. Centumalus took most of the fleet and army back to Italy, while Albinus wintered in Epidamnos. In the spring of 228 BCE, Queen Teuta sent envoys to the Romans to sue for peace. She was forced to pay an indemnity and withdraw from most of her Illyrian territories, save a few cities. More importantly, armed Illyrian ships were prohibited from sailing further south than the city of Lissos (present-day Lezhë in Albania), a provision no doubt intended to curb piracy. The First Illyrian War was over. It had been an important Roman victory. Rome had now established a foothold in the Greek world. Polybius adds that the Romans also sent envoys to Athens and Corinth to foster diplomatic contacts. 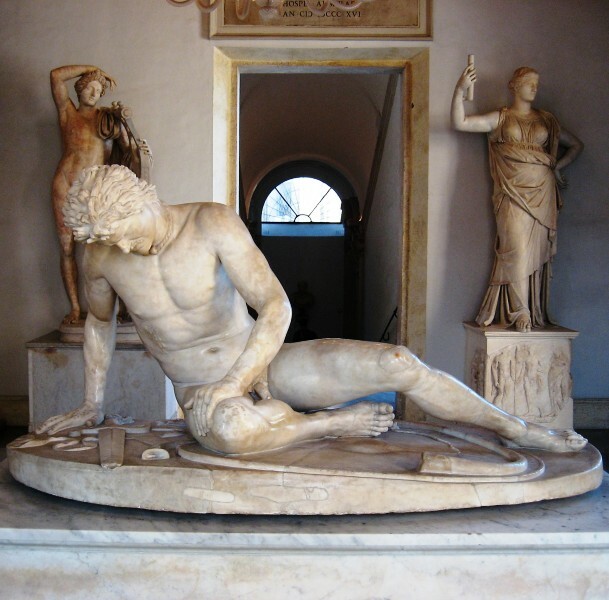 Roman athletes were for the first time allowed to participate in the Isthmian games. Polybius, The Histories, Book 2.2-2.12. Adrian Goldsworthy, The Fall of Carthage, p. 139. Or stepson. Appianus claims she was not the boy’s mother.